From the courtroom to the boardroom, Linda Byars Swindling, JD, CSP, knows firsthand about high-stakes communication, negotiating workplace drama, and influencing decision makers. In this interview you will hear from negotiation expert Linda Swindling on the results of her recent research and the top reasons people are hesitant to ask for what they want. 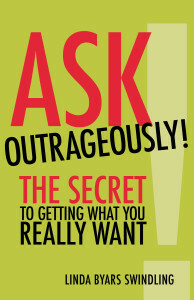 Are you ready to ASK OUTRAGEOUSLY?